Vanilla is a new kind of web forum. With Vanilla we wanted to break the mold created and followed by just about every other forum on the web. Vanilla is an open-source, standards-compliant, multi-lingual, fully extensible discussion forum for the web. 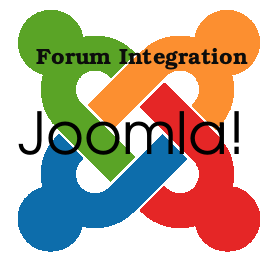 J!Vanilla forum bridge is developed to be compatible with Joomla 1.0.x and Vanilla 1.1.4. Kunena is a next-generation native Joomla forum component. Described as a "discussion platform," Kunena enables community communication in a stylish and engaging way. ccBoard provides a robust Joomla 1.5 forum solution that is very simple to install, configure and use while still providing almost all of the features of a typical forum. ccBoard stands for Codeclassic Bulletin Board. It is a highly customizable, fully Joomla integrated open source forum solution. This Joomla phpBB2 integration is based on the popular Przemo modification of the phpBB2 forum. It contains about 200 add-ons, with ability to switch off any of them in admin's panel. RockBridge is a non-invasive Joomla phpBB3 solution for the fantastic new phpBB3 forum package. This bridge runs as a Joomla application and provides registration as well as profile syncing. Simplest Forum is a bare-bones Joomla! 1.5 native forum component that offers the "simplest forum" possible while still providing useful functionality, since many Joomla sites neither need nor want a complex forum but want instead an easy way for users to communicate. The JoomlaHacks Joomla forum component (JSMF) bridges Joomla 1.0.x and Simple Machines Forum (SMF). This bridge allows one login, registration, and user modification point for both systems. It goes one step further and adds full integration with Community Builder (CB) using a CB plugin and allows the use of a wide array of logins. In addition, this bridge allows a choice of Personal Message Systems to be used with the integration. Agora 3 is a native Joomla 1.5 forum. It includes all the features that you expect from an advanced forum, such as: Quick Post, Ranks, Awards, Image & File Attachments, Advanced Searching, Announcements, Subscriptions, Polls etc..